The District of Asia has picked up one of its former ministries in academia: teaching theology. In addition to his ministry in the Matti District Catholic Catholic Community, Digos, Fr Larry Sabud SM is teaching at St. Alphonsus Theological and Mission Institute (SATMI). Located in Davao City, SATMI is a Redemptorist-run institute that caters primarily for seminarians and religious from several countries throughout Asia. 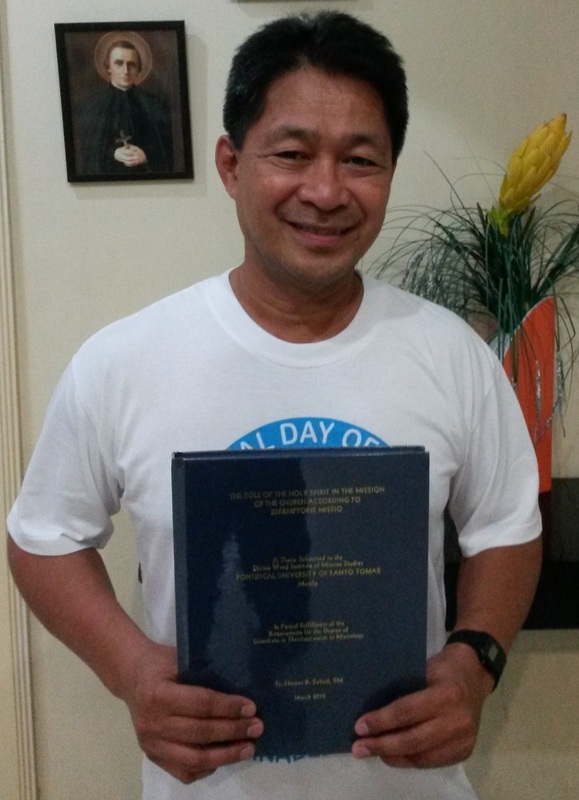 Earlier this year, Fr Larry graduated with a Licentiate in Theology, majoring in Missiology, from the Divine Word Institute of Mission Studies and the Pontifical University of Santo Tomas. His thesis was entitled: The Role of the Holy Spirit in the Mission of the Church according to Redemptoris Missio. Fr Larry is currently teaching Missionary Spirituality at SATMI. Last semester, he led a course on Theology of Religions. Congratulations on your academic endeavours, Larry! May your hard work continue to bear fruit in the lives and ministries of your students. Congrats Fr Larry – you bridge the continent of Pope Francis with the joy of Asia with a wonderful experience of the art of mission.